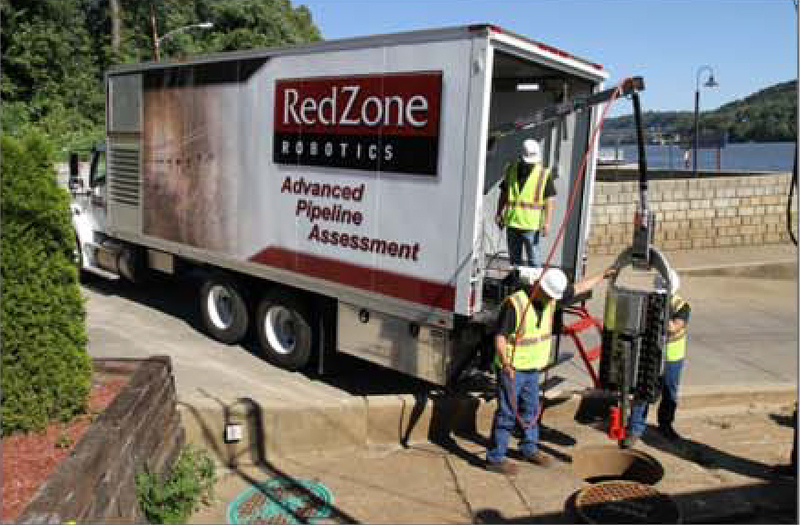 RedZone pioneered the industry with a suite of multi-sensor inspection (MSI) products designed for large interceptors and tunnels. MSI data quantifies critical problems like corrosion and debris levels that are missed by visual-only CCTV inspection. 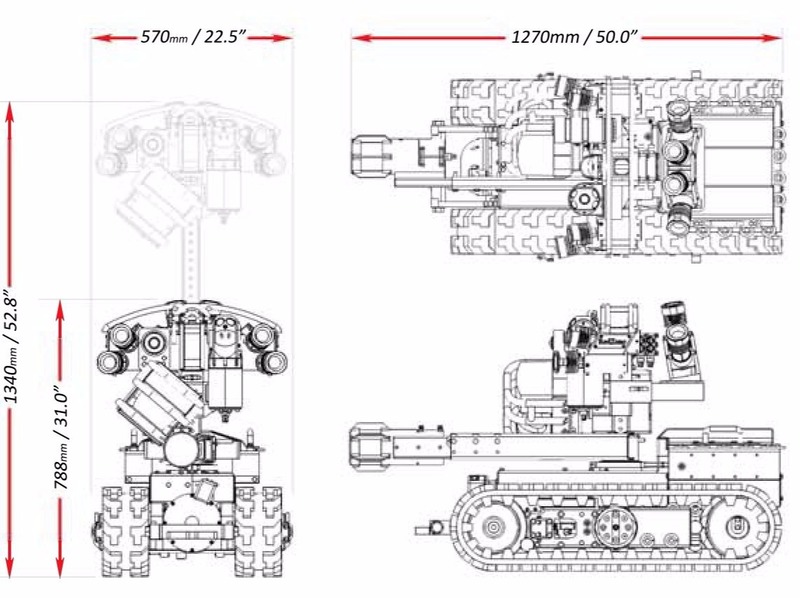 The responder unit can traverse through assets most conventional units cannot. Interceptors are the backbone of any city’s sewer infrastructure, and are the most expensive to clean, maintain and rehabilitate. However, they also present the highest consequence of failure within any system and demand proactive maintenance and management. 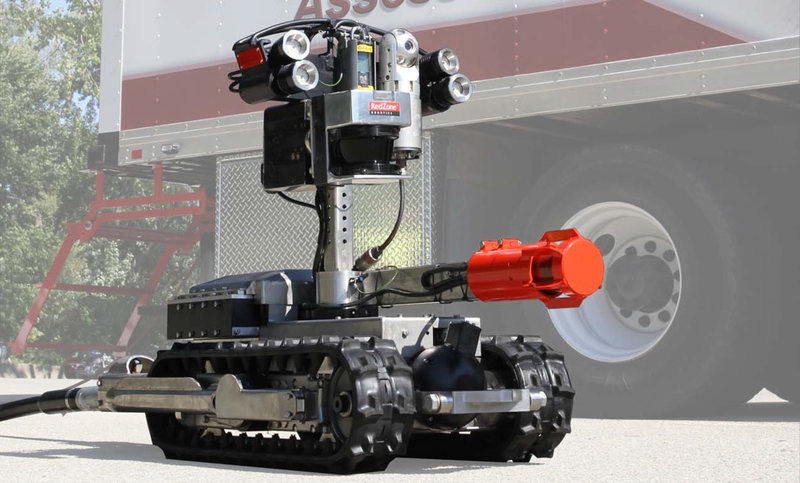 The RedZone Responder is a unique, remotely operated solution for the inspection and rehabilitation of large diameter pipes and tunnels. Through the combination of a robust design incorporating on-board hydraulic capabilities, Responder’s 3D scanning LIDAR, coupled with Sonar, high resolution CCTV, gas and temperature sensors can collect information on pipe condition in the most demanding environments. The information then provided to municipalities allows a thorough assessment of pipe conditions. Sometimes a picture alone does not tell the whole story. Pioneered by RedZone, Multi-Sensor Inspections (MSI) combine conventional CCTV with synchronized laser and sonar dimension information. This unique full 360° quantitative view of the pipeline can help to pin point which lines in your system require immediate attention, thanks to accurate measurements of corrosion, debris and ovality. The information collected through MSI coupled with the ability of RedZone’s equipment not requiring costly by-passing, shutdowns or manned entry ensures that municipalities are not only collecting the best information available they saving costs and ensuring the safety of their workers.